WASHINGTON — SpaceX has set an ambitious goal for 2019: using the same Falcon 9 booster to conduct two launches in 24 hours. Such a feat would require more than just the rapid turnaround of Falcon 9’s reusable first-stage booster. It would also require a rapid turnaround of Air Force range support and some speedy payload integration — assuming SpaceX doesn’t want to launch an empty fairing second time around. But Elon Musk, SpaceX’s founder and chief executive, has never been shy about setting bold goals. Musk mentioned the goal in the hours leading up to the first launch attempt of the Block 5 Falcon 9, which is designed with a first stage that can launch 10 times without refurbishment. That launch, carrying Bangladesh’s first telecom satellite, Bangabandhu-1, was rescheduled for today after a last-minute glitch scrubbed the countdown with 58 seconds left on the clock. The ability to relaunch the same first stage in a single day would help SpaceX bolster its case that a used rocket is more reliable than a new one. SpaceX executives often reference air travel as a model for future launch activity. Musk reiterated that point. “Would you rather be flying in an aircraft that’s never had a test flight before, or would you rather fly in an aircraft that has flown many times successfully?” he said. SpaceX has given discounts to some early customers of Falcon 9 rockets with used first stages to ease their acceptance, particularly among risk-averse satellite operators who might otherwise be reluctant to launch a spacecraft costing $100 million or more on rocket booster already subjected to the rigors of launch and landing. Given the extensive modifications made to Block 5, SpaceX will take extra time after the Bangabandhu-1 launch to disassemble and inspect the rocket. Musk estimated the Falcon 9 Block 5 will make “something on the order of 300 flights,” before retiring. SpaceX plans to succeed the Falcon 9 and Falcon Heavy with the BFR, and is targeting a cargo mission to Mars with the larger rocket in 2022. SpaceX has attempted, so far unsuccessfully, to recover the Falcon 9 payload fairings used to protect satellites on their ascent through the atmosphere. The company has also talked about retrieving the upper stage instead of letting it burn up over the Pacific Ocean. Musk said SpaceX won’t attempt fairing recovery on the Bangabandhu-1 mission, but is intent on saving the $6 million protective shrouds in the future. Upper stage recovery is a longer-term goal. Over the course of this year, SpaceX will gradually add thermal protection to the upper stage to optimize the stage for the return journey to Earth, Musk said. 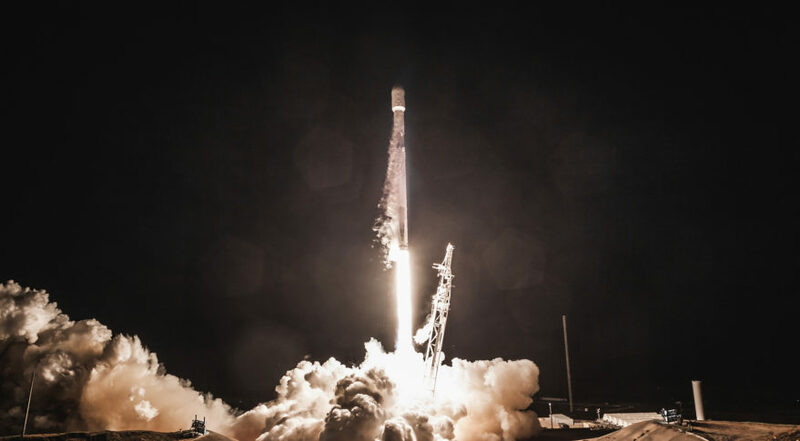 For near-term flights, Musk said the goal will be mainly to gather data such as reentry temperature, altitude and health, likely using Iridium Communication’s satellite constellation to relay the data. Musk estimated 60 percent of the Falcon 9’s marginal cost comes from the first stage, 20 percent from the second stage, 10 percent for the fairing, and 10 percent for the everything else associated with the launch. Propellant costs a negligible $300,000 to $400,000, he said. Musk said it is possible to reduce the marginal costs for a Falcon 9 launch to “down under $5 or $6 million,” in around three years.